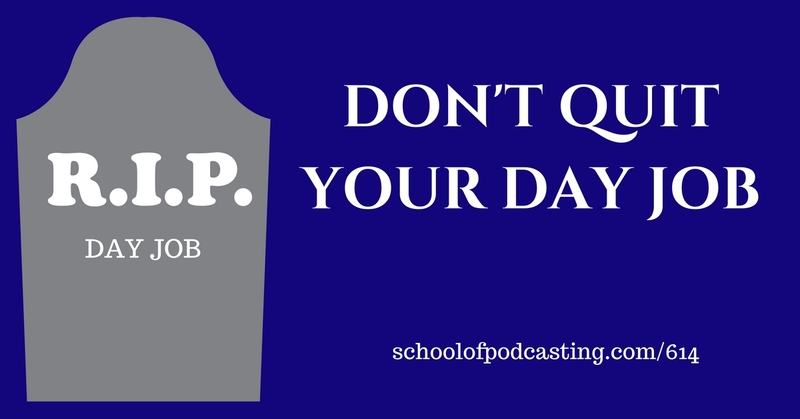 I spent Wednesday with the Cincinnati Podcasters meetup which was a great time of sharing information about what is and isn't working in podcasting. If you are in the Cincinnati area, you should make the trip. From there I went to Nashville for the first ever Podfecta event which was organized by my friend David Hooper. This event used my favorite format which is one track, one room, so all participants get the same information. It's a great way to build community. Then I went to Craft Content Nashville which was an “unconference” (much like the old days of Podcamps). This had over 50 speakers with TONS of tracks. while not all the sessions I attended were stellar, I did walk away with some great info, and got to network and answer some questions. Both events brought in food which made networking very easy. What is a Valuable Show? Jennifer Briney does the congressional dish podcast and did a presentation and the put up a slide that asked, “What is a Valuable Show?” and for Jennifer, it is “An Impressive display of public Entertainment that is useful or important. I listened to the Book “So Good They Can't Ignore Your (Why Skills Trump Passion in the Quest for Work You Love) and he goes hard against the strategy of “Following your passion and the money will come.” It's a very interesting book and I agree with some of it. He talks about to move forward you need to develop skills that are rare and valuable. This leads to more jobs where you start to control more of your destiny. He also points out and gives many different illustrations on how few (if any) people can say exactly what they want to be when they grow up. Most people talk small steps (doing rare and valuable work) which leads to more opportunities that lead to you having more control over your life (when you are rare and valuable, you control and call more of the shots). The law of an idea remarkability. Your podcast inspires people to remark about it and if it has the ability to be spread in a venue that supports these remarks. He also talks about having a goal of acquiring skills that are rare and valuable. I want to take this idea and use it as criteria for your podcast. Jennifer Brinery read a bill going through Congress that was over 2000 pages. I'm pretty sure it's rare that anybody would read that (the Senators receive a summary that was four pages) and in regards to really getting a good picture of what is going on in Congress, Jennifer provides a ton of value. I got to meet in person Jeff Sanders who is the author of the 5 AM Miracle and The Free-Time Formula (Hear my interview with Jeff Here) did a great job of giving some great insights into having advertising on your show (for the 10% that have enough downloads to support CPM models) and Jennifer Briney of Congressional Dish (hear my interview with Jen)provided a stellar presentation on creating a podcast that is 100% listener supported. In both presentations, Jeff and Jennifer pointed out that it took YEARS to build the audience big enough to be able to do this full time. Enthusiasm alone is not rare or valuable and therefore is not worth much. In talking with a brand new podcaster, I was shocked to hear they had QUIT THE MARKETING JOB that they had been doing for years to start a podcast that didn't scream “EASY TO MONETIZE.” Jennifer mentioned how she had taken a part-time job as a waitress so she could still do Congressional Dish and pay the bills until the show was built up enough to jump to full time. We think it's courageous, we think if we don't jump now we never will, and so we jump. It's one thing to jump over a mud puddle. It's a totally different story to jump over a lake. A Reporter Hears Your Latest Episode, What Is Your Headline? If the episode you are going to record does none of the above. Because Of My Podcast – I Can't Believe I Got to Meet…. Leslie Eiler Thompson produces The Rogue Ones podcast and explains how she got to meet at super cool person in her niche Lance Mackey who has won the iditarod four times.